With the continuing rise of healthcare costs, preventive care is more important than ever. Liberty Hospital is working to improve the health of not just its patients, but of all residents of Liberty, Missouri and the surrounding area. According to a report by the National Research Council and Institute of Medicine¹, up to half of all early deaths in the United States are due to our daily habits and behaviors. Tobacco and alcohol use, poor diet, and lack of exercise are major contributors to continuous health problems and premature death. Incorporating community health initiatives is just one of the ways that Liberty Hospital is helping keep costs manageable. To assist with the hospital’s push for community health awareness, Red Crow Marketing and the Liberty Hospital Marketing Department have created a number of commercials and online videos. One of our favorites was our coverage of the first annual Liberty Hospital Half Marathon and 5K. This event drew 1,250 runners and more than 200 volunteers from the Liberty, Missouri area. 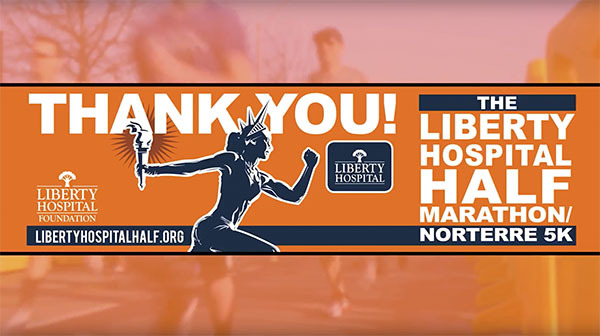 Check out our recap video below, and click the link to learn more about the annual Liberty Hospital Half Marathon and 5K. Let Red Crow Marketing help create the perfect video campaign to reach your target market. To set up a strategy meeting, fill out our contact form and we’ll be in touch.